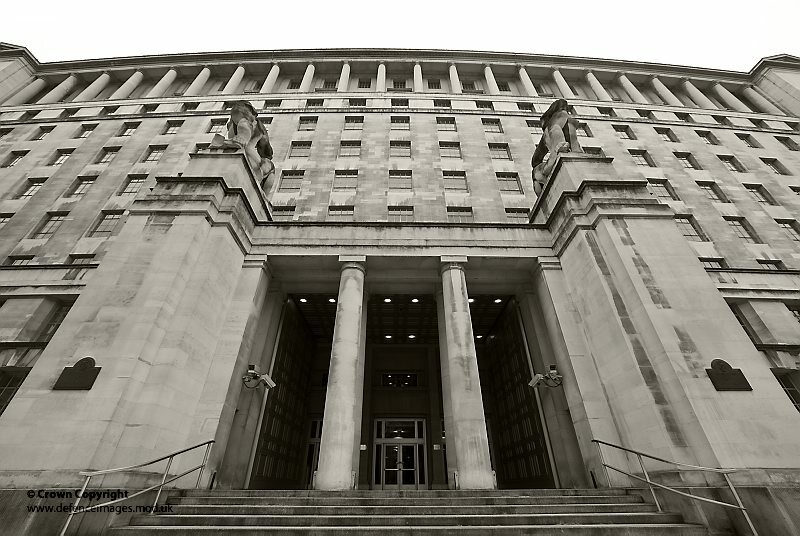 The ninth collection of UFO files were released by the UK Government on 12 July 2012. The 25 files can be downloaded from UFO page at http://www.nationalarchives.gov.uk/ufos where you will find my guide to the highlights, a background briefing and video cast. Possibly the most revealing document was written by the last incumbent of the MoD’s UFO desk, and can be found at the end of UFO policy file DEFE 24/2087/1, p5-7. Paul Webb inherited the post when Linda Unwin ended her tour of duty in 2006 and two years later he oversaw a move from MoD Main Building to the RAF Air Command HQ at High Wycombe. Webb was transferred to other duties in December 2009 when the MoD closed what had become known as ‘the real X-files’. But before the closure, Webb penned a succinct three page summary of the ‘daily mechanics’ of his job. Of the 6700 pages disclosed in this tranche, almost a third are held in three files that chronicle my Freedom of Information campaign to persuade MoD to release papers on key UFO incidents [DEFE 24/2043/1, 2061/1, 2090/1] Now these documents are in the public domain I can reveal the contents of my correspondence and meetings with UFO desk officer Linda Unwin and her colleagues at the MoD Main Building between 2003-6. During those busy years Linda led the MoD’s proactive approach to the release of UFO papers as the subject became the third most popular topic for FOI requests. You can read examples of UFO-related FOI requests in five files, DEFE 24/2073-74/1 and DEFE 24/2077-79/1. For example, DEFE 24/2074/1 contains the results of a FOI request I made in 2006 for a number of documents concerning the vexed issue of foreign experimental project aircraft operating in UK airspace. Most of the other productive requests in these files were submitted by the campaign team that included fellow UFO historians Joe McGonagle, Gary Anthony and Andy Roberts. In response to the campaign, Linda met with colleagues from the RAF and DIS to collate the surviving UFO files held in government archives. She realised that it was costly and impractical for desk officers to continue responding to individual requests. The case for full disclosure had been made. When a copy of the file arrived in September 2005 it was clear we now had proof that a study of ‘Unidentified Aerial Phenomena’ (UAP), had been commissioned by MoD in secret. The Condign report, completed in 2000, found no evidence that UAPs posed a defence threat and allowed the DIS to discontinue their interest in the subject after 50 years of scrutiny. Armed with these revelations, in September 2005 I made a FOI request for a complete copy of the Condign report itself (you can read my request in the opening pages of DEFE 24/2090/1]. The declassification of the Condign report revealed that at least some of those charged with the defence of the UK took seriously the far-out idea that UAPs might have played a role in the unexplained loss of British military aircraft. In 1997 the Condign report’s author gathered data on one hundred fatal accidents involving military aircraft from the RAF’s Inspectorate of Flight Safety for his study of ‘potential UAP hazards to aircraft.’ Only those accidents ‘where there were no survivors and where the cause was not absolutely determined’ during the past 30 years were examined in detail. This was because DI55’s records of UFO incidents before 1976 had been destroyed, which meant that no firm correlations between accident and ‘UAP activity’ could be identified. The report also claimed there was ‘no firm evidence in the available reports that a RAF crew has ever encountered or evaded a low altitude UAP event’. This conclusion suggests the author was unaware of evidential cases from the past such as the events at RAF Lakenheath-Bentwaters in 1956. Whilst none of the unexplained fatal accidents listed in the report could be directly linked to UFOs, the author boldly stated that ‘the possibility exists that a fatal accident might have occurred in the past’ as a result of aircrew taking sudden evasive action to avoid a UAP when flying fast and low. Although the relative risk of a collision was assessed as being lower than a bird strike, it nevertheless could not be ruled out. Accordingly, the study recommended that military aircrew should be advised that in future ‘no attempt should be made to out-manoeuvre a UAP during interception’. The advice to civilian crews was: ‘although UAP appear to be benign…pilots should be advised not to manoeuvre, other than to place astern, if possible.’ After the report was released I tried to discover if any these recommendations had been acted upon by the RAF or the Civil Aviation Authority. I was told there was no record they had been. 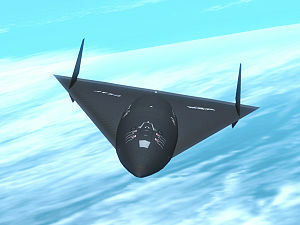 Another topic that concerned MoD were references in the Condign study to ‘friendly’ black project aircraft that might enter UK airspace without the knowledge of the MoD. In November 2005 Linda Unwin warned Defence Intelligence officials that ‘the fatal Mull of Kintyre Chinook accident [on 2 June] 1994 in which the pilots were found grossly negligent is still topical and [the UFO desk] continue to receive FOI requests and correspondence from those campaigning to clear the pilots names.’ (DEFE 24/2090/1p126) She added that ‘the possibility of a UFO in the area was suggested by some of the campaigners as a possible cause.’ One speculative story suggested the Chinook could have been brought down after flying through the jet wake left by the US hypersonic spyplane, Aurora, which it was claimed could achieve speeds in excess of Mach 8. Perhaps even Air Commodore Caillard did not have sufficient ‘need to know.’ His account was written in January 1976, two decades before the CIA revealed that many UFO sightings reported by aircrew at that time were of the prototype U2 spyplane. The U2 was developed in great secrecy from 1955 at Lockheed’s ‘Skunk Works’ in Burbank, California and could fly at an altitude of 60,000 ft to evade Soviet radars, beyond the capabilities of most civil aircraft at that time. 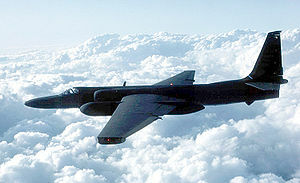 The early U2s tended to reflect sunlight and often appeared as ‘fiery objects’ to aircrew below. As the project was top secret, U2 missions were made in radio silence without flight plans and occasionally triggered air defence alerts in friendly countries, leading on occasions to the scramble of aircraft to intercept ‘UFOs’. DEFE 24/1985/1 (p10) in January 1997 a Defence Intelligence official responded to a question on briefings given to MoD by CIA on the Roswell incident and other reports of ‘crashed UFOs’ stating: “…we have no data on the alleged ‘Roswell incident’ or any UAP/UFO crashes in either the UK or US and have never, as far as we can tell from existing files, received any briefings from any US agencies, including the CIA”. File DEFE 24/1984/1 (p294) contains a 1996 Parliamentary Question from Martin Redmond MP asking on how many occasions MI6 and GCHQ have monitored UFO investigations. This was interpreted to mean ‘have the agencies been keeping watch on UFOlogists.’ A background briefing says “neither agency in fact undertakes such activity, though GCHQ cannot rule out the possibility” they had monitored “in other contexts individuals who have made a study of UFOs”. The MP was told the government do not comment on the intelligence and security agencies (p298). File DEFE 24/1987/1 (p262-65) reveals that in 1997 Special Branch took an interest in a UFOlogist who had become obsessed with rumours of a secret UFO investigation facility hidden in an underground complex beneath RAF Rudloe Manor in Wiltshire. The base had become known as the British equivalent of the secret US military airbase ‘Area 51’ among conspiracy theorists. An internal note reveals that “Special Branch…do not believe he poses a specific threat to security, but they are alert to the risk that others may use him as a conduit for their activities”. File DEFE 24/1987/1 (p199-201, 84-85 and 77-81) contains a lengthy briefing to No 10 on UFO Policy in 1998 after the author of the book A Covert Agenda, the UFOlogist Nick Redfern, wrote to Prime Minister Tony Blair urging him “to consider making available for public scrutiny all of the many and varied UFO reports compiled by the government” that were being with-held from the public. 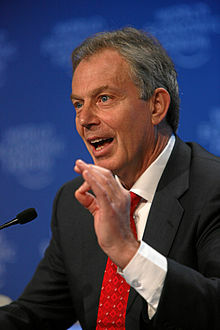 The request arrived as Blair’s government began to implement the white paper on Freedom of Information. DEFE 24.1984/1 (p289) in October 1996, PM John Major answered a PQ tabled by the Martin Redmond MP, asking if he would set up an official inquiry into UFO sightings. Major responded: ‘the government has no plans to allocate resources to research extra-terrestrial phenomena’. In November 1996 Martin Redmond MP wrote a letter to Defence Minister Michael Heseltine asking why RAF had failed to launch aircraft to intercept a UFO spotted by police officers in Skegness and Boston, Lincolnshire, a ‘sighting’ that he claimed had been confirmed by RAF radars (DEFE 24.1984/1 p117). In the same file there is a detailed investigation of Redmond’s claims conducted by a RAF Wing Commander. He consulted the Royal Greenwich Observatory which identified the lights spotted by the police as bright stars and the planet Venus (the Queen of UFOs). His report concludes the radar echoes were caused by a tall building – the Boston church spire (p26-48). A spate of UFO and alien sightings in West Wales during 1977 led to tabloid headlines linking the region with the infamous Bermuda Triangle. The local MP, Nicholas Edwards, said he was “inundated” with reports from constituents and asked MoD to investigate. He received a letter from the proprietor a hotel who claimed she saw a dome-shaped object land “like the moon falling down” behind the building near a Royal Observer Corps bunker. Two tall silver-suited “faceless humanoids” emerged and began “making measurements”. She told her MP she was left in a state of shock. 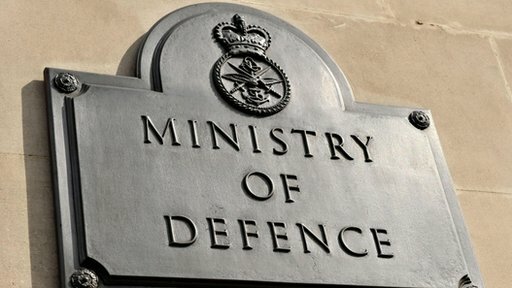 MoD asked the RAF police to make “discreet enquiries” in the area and sent an officer from RAF Brawdy to interview the woman. He suspected a practical joker was at work in the area and noted that a silver protective suit used in nearby oil refineries had been on display in a shop window at Haverfordwest shortly before the ‘spacemen’ were seen. A member of the public from Spalding, Lincolnshire who had reported a UFO encounter to police, later went on to receive a late night visit from three tall men dressed in black suits who “seemed to move silently”, according to a friend who witnessed the visit whilst hiding in the downstairs toilet. The men apparently broke in through the back door, before entering the bedroom of the UFO witness and having a conservation, the content of which was not overheard. The friend stated “I was petrified” and locked themselves in the toilet until ‘men in black’ left in a black Jaguar soon afterwards. When asked afterwards, the UFO witness did not recall seeing any ‘men in black’ or encountering a UFO in the first place. The recent craze for releasing sky lanterns led to a spate of UFOs reports to MoD from 2005. DEFE 24/2083/1 (p180-190 and p149-50) includes four separate reports of “golden orbs” seen by people near Loughton tube station in Essex and reported to police in September 2005. In DEFE 24/2088/1 (p155) a similar sighting from Brighton in August 2007 led a woman to call the MoD’s UFO hotline “panicking [and] saying we had to ring her back She left three messages that said she was petrified and so were her friends: “she had never seen anything like this before”. A caller from Houghton-le-Spring, Co Durham, saw similar lights but did not think they were UFOs as he didn’t believe aliens would want to visit Houghton (p146-7).